I don’t actually how to start this story. How do I tell the story of someone I admire, but also a person I know little to nothing about them? Will I be able to write that story? Will people even believe me, or with they think I’m just making it up or trying to fill space? Will anyone even read that story? Sure, those are all things I could, and maybe still do, worry about, but the real question I have is, will I be able to do this story justice with what little I factually know? Will I be able to tell this person’s story to the level that they deserve? Will they even read it? I guess there’s only one way to find out. My friend Misty is a freelance writer and blogger over at Rustic Musings Of A Scattered Mind. I have never met my Misty, and to be honest with you, we’ve only chatted briefly on Facebook messenger a couple of times over the last couple years. So, how could I possibly admire this woman; a woman I have little to no connection with? Well, asking that, you’re assuming a lot about the word connection. While I have never met Misty face to face, I feel very connected to her. I feel connected to Misty through her writing, and through support she has offered at various times in different groups we’re in together. Both Misty and I share a common bond of living with massive anxiety. Unlike mine however; Misty’s can keep her locked down for some time, even to where she can’t leave the house, of go into a grocery store. In fact, until recently, Misty hadn’t stepped foot into a grocery store for over 4 years. Misty has chronicled much of her battle with anxiety and depression, and I’m happy to say she’s winning the battle. Misty is making strides to change her life, and live her dreams. Which actually brings me to the actual reason why I admire Misty so much. Misty is a Muslim American woman. I know, that was a sharp left there wasn’t it? Some of you may no longer be interested in reading any further after the mention of that, and some are thinking, “So what?” Others are wondering where I’m going with this. Misty is also white…born in America…and was raised Christian, but has since converted to Islam. 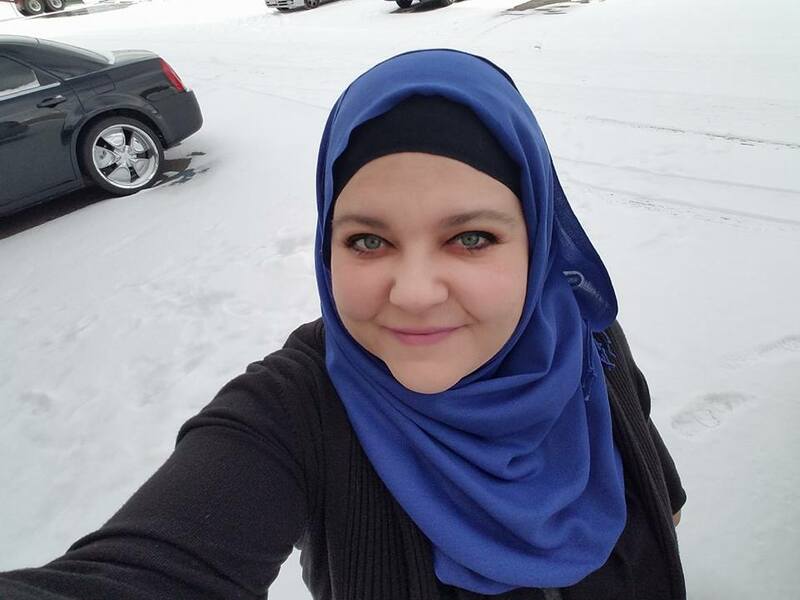 You may have even read her post that was run on ScaryMommy about being a proud American Muslim Woman after our current President took office. This is kind of where I run out of answers. I don’t know why Misty converted. I don’t know what motivated her. But what I do know is that she has faced a ton of backlash over this decision of faith. Her family, once close friends, and even her ex-husband, a man who literally tried to kill her the night before the Presidential Election because she is Muslim; they have all abandoned her or chastised her for her beliefs. Yet, her faith has never wavered. Like politics, I don’t talk about faith or religion on my blog or fan page either. It’s not because I’m afraid or anything. It’s simply because I’m not sure I have the education level for that kind of conversation, and because, I’m not sure I even believe in God anymore. But I remain fascinated with those who are steadfast in their faith and belief in God, much like my friend Holly and my friend Alisha, who I wrote about earlier in this project. Ever since I read Misty’s article on ScaryMommy back in January, I have been fascinated with her journey. The most recent update to that story is that Misty packed all her world belongings and moved to Algeria. I have no idea why she moved there. I have zero clue as to her life plans, but I’m excitedly following along, as both a friend and a fan. Misty, like me, is 39. She has already lived a life time and then some. She’s raised a son who is an adult now, fought through and luckily escaped a doomed marriage. She’s done all this…and still fights off anxiety and depression; loss of family and friends, and yet her conviction has never wavered. Why? Misty has found herself, and found her path, and it’s in the loving embrace of her God Allah. She is starting her life over…what’s not to admire about that? A beautiful piece about my beautiful friend. Join the family, and get all the updates and blogs first by subscribing. Come on, all the cool kids are doing it!